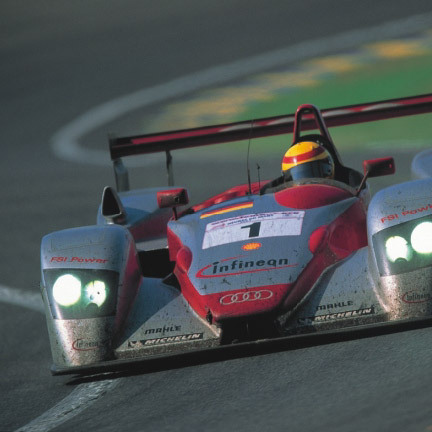 Racing cars are stressed to the limits of their capabilities. It is not without reason that pioneering technologies are often first tested in racing cars before they find their way into mass production. The 24-hour race at Le Mans produces particularly high stress levels for drivers and materials. And in this respect the clutch is a component that is subjected to the highest stresses. Audi Sport therefore decided to monitor the clutch wear during the race to be able to adopt a less arduous pace at the right time or to even carry out a replacement. A displacement sensor from MICRO-EPSILONis used for this application. The sensor is located directly on the clutch release bearing and records both the normal stroke of the clutch as well as its wear.